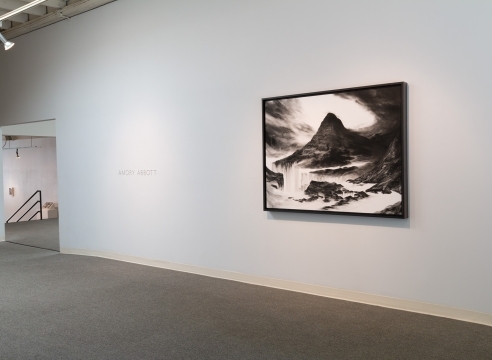 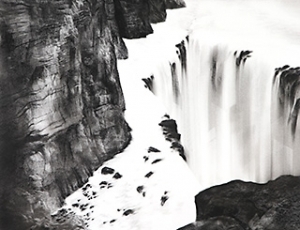 Amory Abbott uses charcoal to create large-scale drawings of craggy and forested landscapes that seem to be shifting and falling in space. 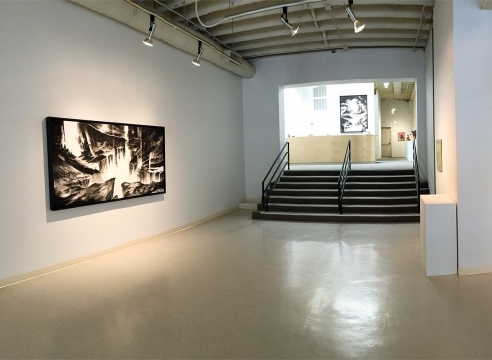 He notes that this body of work, titled Maps Won’t Work Here, explores “a theme of darkness shared by American Romanticism, Black Metal, epic fantasy, and Dark Ecology.” He seeks to give viewers a sense of how the world might one day change in catastrophic and unfamiliar ways, but in so doing, creates drawings of great beauty and wonder. 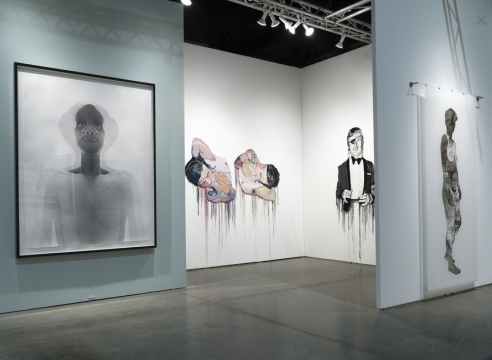 Abbott was born in Indiana, received his BFA from the Herron School of Art & Design in Indianapolis, and his MFA from Pacific Northwest College of Art in Portland, OR. 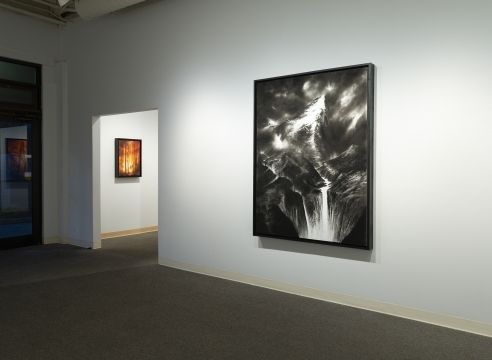 His work has been exhibited Portland, OR and Indianapolis, IN. 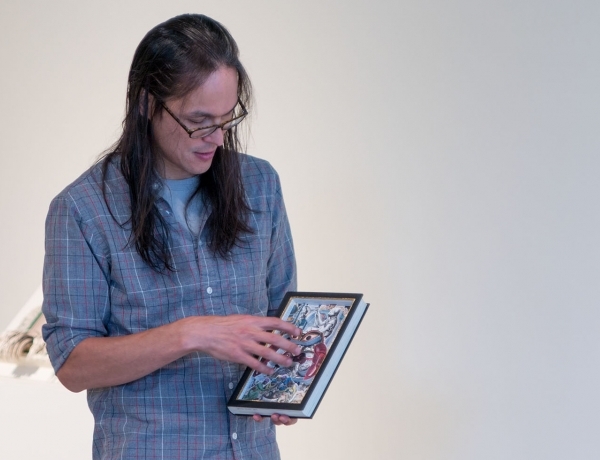 Join us Saturday, May 13 for artist talks with James Allen and Amory Abbott. 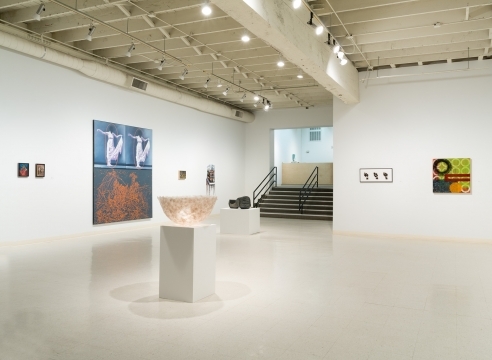 They will be discussing the work in their current shows, which are on view through May 27.